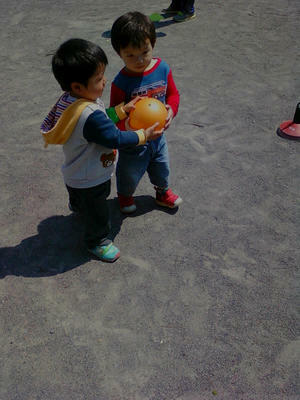 Today we had sports day in the park as the weather was nice and sunny. We started as always withy a warm up exercise then practiced jumping over hoops. Then we tried running around a course with a ball. and other such activities,we all had a good time. Finally we came back to class for our lessons and to make mothers day cards. Today is my first wednesday, and morning lesson went well with all the kids doing great at their ABC`s. 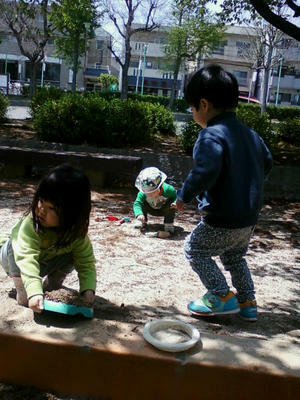 the weather is wonderfully warm and sunny, so we head for the park singing our songs. But we still had fun in the sandpit and on the swings. and before we knew it, it was time to go back for lunch and a nap. This morning lessons went very well, our young students are picking up the words and the songs very well. It is also great to hear them start singing on their own, the ABC song as we walk to the park. It was a bit cloudy today but still warm enough to play in the park, our kids played well with the other children in the playground too. all in all we had another good day. Today it was a little rainy in the morning so we did not go to the park, but we did our morning lessons and later the children were watching some rhymes on `Animals and young ones', they showed interest watching the small ones and had fun. 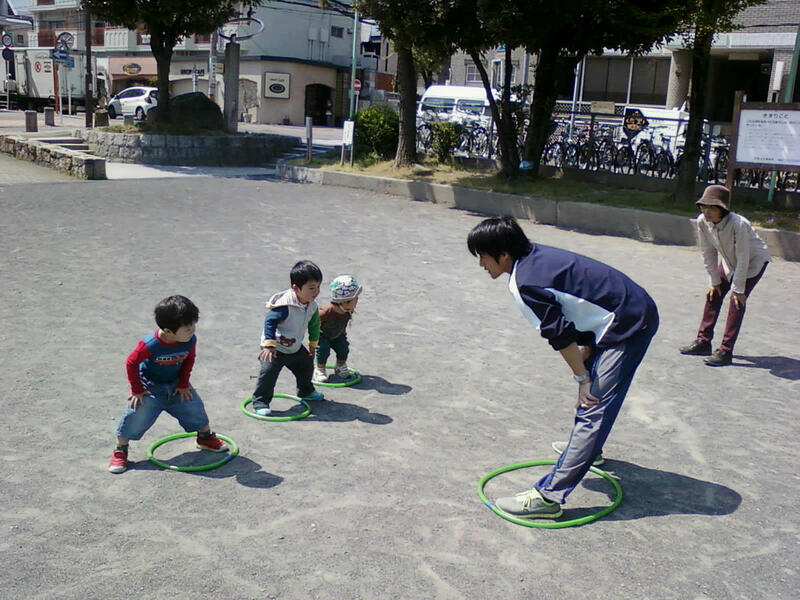 They also were playing with the trains and they enjoy it..
Today`s sports day was all about jumping and tumbling on the mat, all the kids did very well, and it was great to see them listen to the teacher and follow his instructions. Today we walked to the park happily singing the ABC song! The children had a lot of energy and played on all the things at the park! Swings, sandbox, monkeybars and the slide! There were many busy ants running around carrying food home, and we tried to follow them and see if we could find their ant hill! We walked back holding hands in a cute little line!